Why would I need self storage in Irving, TX? There are a variety of reasons why you might need self-storage in Irving, TX. How much is a storage unit in Irving, TX? The cheapest storage unit in Irving, TX is $18.00 per month. What size storage units do you have available in Irving, TX? In Irving, TX we have sizes that range from 3'x5' to 20'x25' to suit your storage needs. How much is it for a 3'x5' storage unit in Irving, TX? The cheapest 3'x5' storage unit in Irving, TX is $27.00 per month. 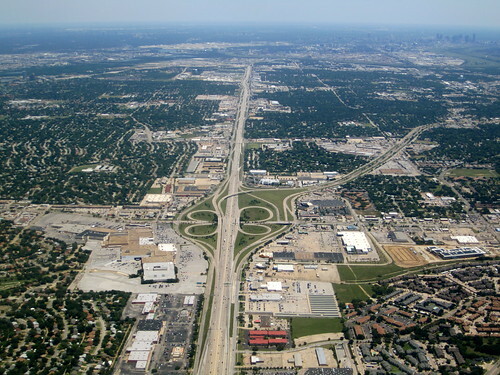 The city of Irving is considered part of the Dallas-Fort Worth metroplex and is one of the largest suburbs of Dallas. Irving has experienced consistent growth over the past several decades, and has a very diverse community that includes large Hispanic, Asian-Indian and Vietnamese populations. The city is known as a devoted football town, and was the former home of the NFL's Dallas Cowboys. Currently, it hosts two large Football Bowl conferences. Irving has been consistently named as one of the best U.S. cities to live in, receiving high praise for its vibrant neighborhoods, community events and a large variety of parks and green spaces. Originally settled in the 1850s, Irving was officially founded in 1903 by J.O. Schulze and Otis Brown. The two men purchased 80 acres from a local family in 1902 and decided it was the perfect area to establish a town. Irving was named after well-known American author Washington Irving, who was a favorite of one of the founders' wives. The population grew fairly slowly until the 1950s, when it experienced a huge boom thanks to the expansion of the manufacturing, transportation, retail and financial sectors. Irving has a relatively young population, with many families and working couples calling the city home. This suburban city offers a variety of jobs in many different industries, and Dallas is just a short commute away. The city is well-recognized for its large parks and green spaces. It's a participant in Tree City USA, which supports the planting and preservation of suburban forests. Irving received a special program designation for its educational programs and community focus on environmental sustainability. One of the largest parks in the area is Veterans Memorial Park, which features several commemorative landmarks honoring U.S. veterans. Irving also hosts a variety of community events for both children and adults, including the Irving Main Street Event. This annual festival includes a classic car show, live music, rides and games. Irving's public schools are managed by the Irving Independent School District, which serves preschools, elementary, middle and high schools in the city. Irving Independent School District also offers a number of other educational facilities, such as the Outdoor Learning Center and the Secondary Reassignment Center. If you're planning on enrolling in a local college or university, Irving is home to the University of Dallas and North Lake College, as well as several other small campuses. Utilities: Like the rest of Texas, Irving allows residents to choose from several electricity providers, so you'll be able to pick one that fits your specific needs and budget. Atmos Energy provides natural gas in Irving, and the Irving Water Utilities Department administers water and sewer service. Garbage and Recycling: The city of Irving provides regular curbside collection of trash, recyclables and yard waste. Transportation: Irving is part of the DART mass transit system and also provides plenty of bike parking and electric car charging stations to encourage environmentally friendly transportation. The median home price in Irving is slightly lower than the national average, which makes it possible to find a variety of housing options on any budget. Irving's real estate market is fairly active and provides plenty of inventory if you're looking to purchase a home in the area. Our lowest priced units in Irving, TX average $36.09 per month. 1050 people have reserved units in Irving, TX in the past 30 days. There are 22 locations within Irving, TX's city limits. There are 12 locations in Irving, TX that offer AC and Heating features.